Connolly, Mary A. 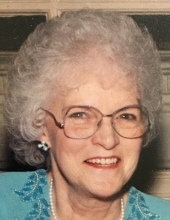 (Folan) of Norwood and Westwood passed away March 15, 2019 at the age of 90. Beloved wife of the late Nicholas J Connolly (retired NPD). Devoted mother of Martin Connolly and his wife Cynthia of Raynham, MA, Philip Connolly and his wife Suzanne of Chatham, NJ and Maureen Lemieux and her husband Dana of Harvard, MA. Cherished grandmother of Michelle and Matt Connolly and Brendan and Nicole Lemieux. Sister of Philip Folan Jr. of Rehoboth DE. Daughter of late Philip J. and Theresa Folan of Norwood. Graduate of St. Elizabeth’s Hospital School of Nursing, Norwood Senior High School, Class of 1946 and St. Catherine’s of Sienna School in Norwood. Member of St Catherine’s Blessed Virgin Mary Sodality and St. Elizabeth’s School of Nursing Alumni Association. Funeral from the Kraw-Kornack Funeral Home 1248 Washington St. Norwood, Wednesday, March 20, 2019 at 9:30am followed by a funeral mass at 11am at the St. Catherine of Siena Church, Norwood, MA. Visiting hours will be held on Wednesday, March 20, 2019 from 9:30am-10:30am. Burial will be at Highland Cemetery Norwood, MA. In lieu of flowers donations may be made in her name to The Butler Did It, PO Box 867, Shirley, MA 01464 or to the Nashoba Nursing Service & Hospice, 3 Patterson Road, Suite 3, Shirley, MA 01464. To plant a tree in memory of Mary A. (Folan) Connolly, please visit our Tribute Store. "Email Address" would like to share the life celebration of Mary A. (Folan) Connolly. Click on the "link" to go to share a favorite memory or leave a condolence message for the family.